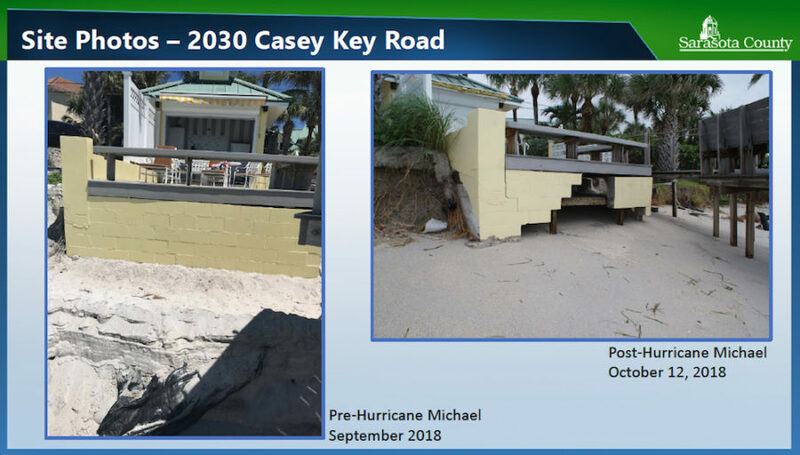 The March 12 county staff memo noted that county Environmental Protection Division staff conducted site inspections at 2030 Casey Key Road on Sept. 25, 2018, as well as on Jan. 30. 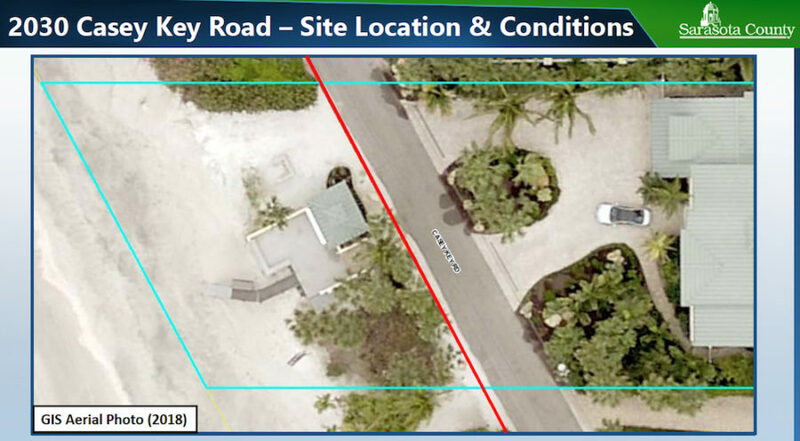 The property comprises 25,544 square feet, from the Gulf of Mexico to the bay, bisected by Casey Key Road, the memo said. 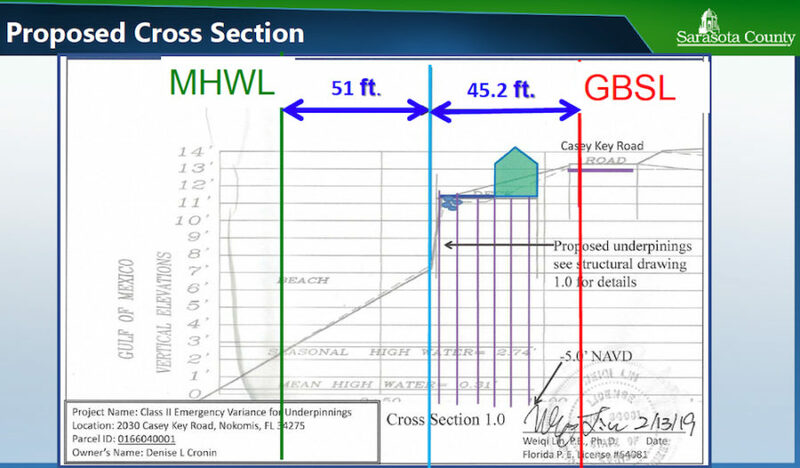 Approximately 72% of the parcel is located landward of the GBSL, the memo added; the 5,035-square-foot residence is entirely landward of the GBSL. 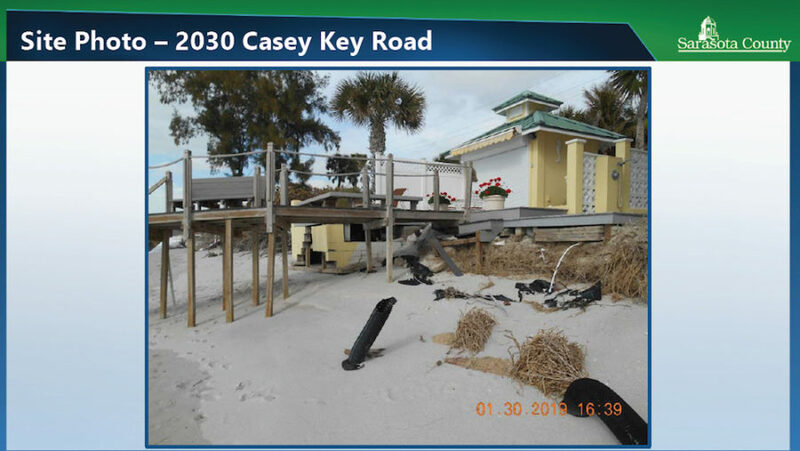 The cabana, which is 9.3 feet by 12.3 feet, is about 11 feet seaward of Casey Key Road and 21.7 feet landward of the deck wall “in need of repair/reinforcement,” the memo said. Trap bags are extra large sandbags. 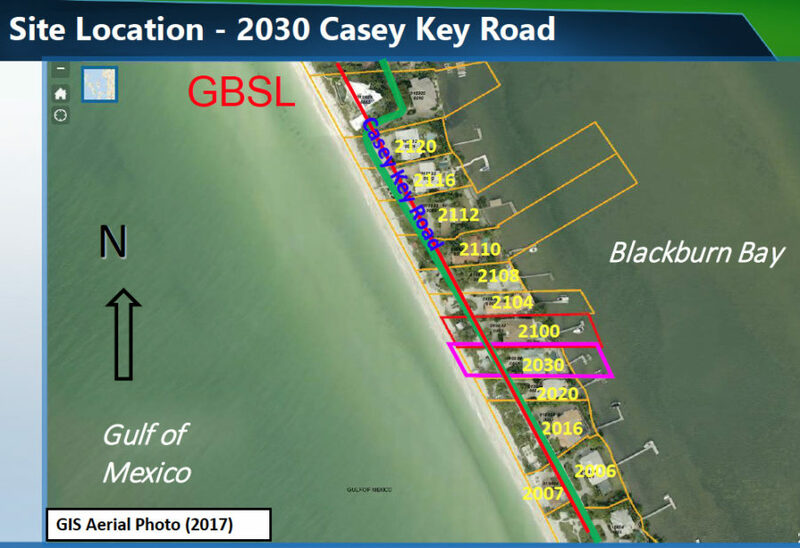 The Board without discussion suspends regulatory criteria for these Casey Key residents, yet it does not see the point when communities come out to say “don’t put industry in our neighborhood near the Celery Fields.” Elitism of Sarasota.